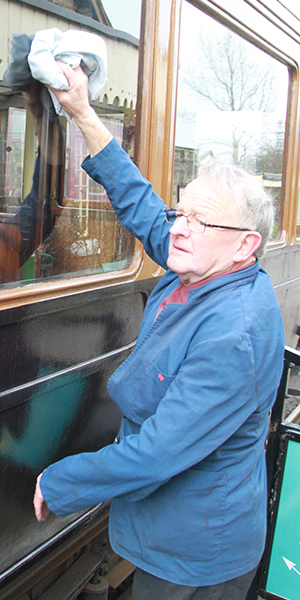 The Embsay & Bolton Abbey Steam Railway is run by a dedicated team of volunteers – and we’d love you to join us! 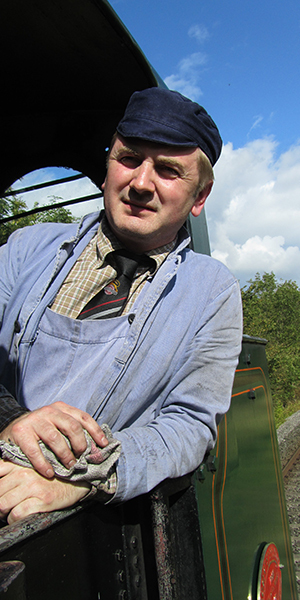 We have many varied roles available – clean, public facing roles selling tickets, working in the shops, cafes, assisting passengers, and also more physical roles such as working on the footplate as a driver or fireman or maintaining the track. 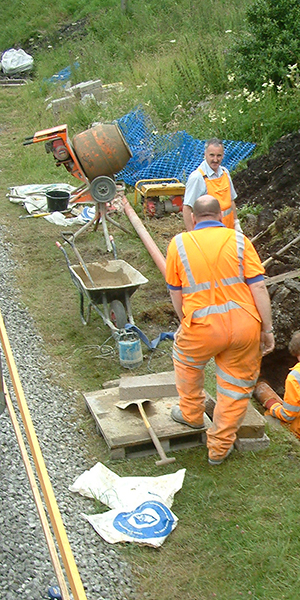 The maintenance of our infrastructure – our historic carriages, locomotives and stations – much of which is over 100 years old – is a constant challenge. Our restoration work is only limited by the number of hours our volunteers can give and the funds which we have available. Have a glance around our site and you will see we are not short of projects to restore – only volunteers and money! Contact me (details below) for details of the next volunteer open day and come along and join us! 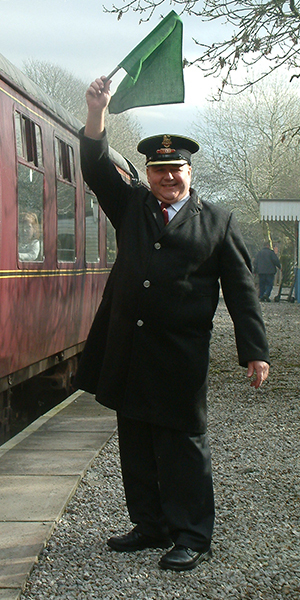 On a typical operating day we require a Responsible Officer, Signalman (x2), Driver (x2), Fireman (x2), Cleaner (x2), Platform staff, Guards (x2), Ticket sellers (x2), Cafe staff (x2), Shop staff (x2), Travelling Ticket Inspectors and various other volunteers in supporting roles. This can put an enormous strain on our volunteers, and we welcome any additional offers of help. There is training offered for whichever role you might wish to persue, with no minimum commitment. 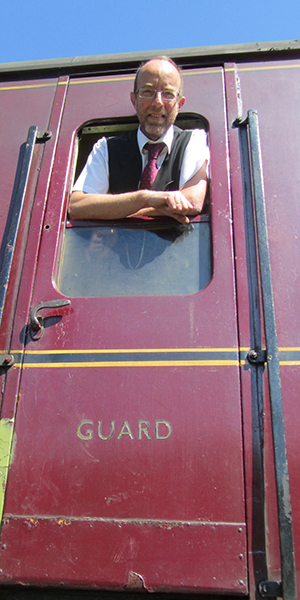 Some volunteers come every weekend, others perhaps every month – although volunteers undertaking duties such as Guarding or Footplate turns are required to attend reasonably frequently to ensure safety and familiarity is not compromised. We have roles suitable for all ages – although anyone under 16 needs to be supervised by their parents or another responsible adult. 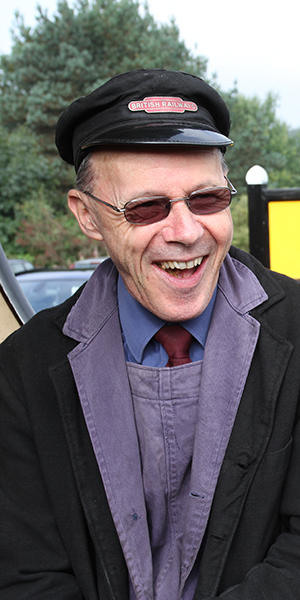 Neither are we constrained by ‘traditional’ gender based roles – we have lady drivers, firemen and cleaners on the footplate and plenty of gentlemen working on the catering side of the railway. If you have the desire, aptitude and fitness for a particular role then we will support you and offer you training for it. 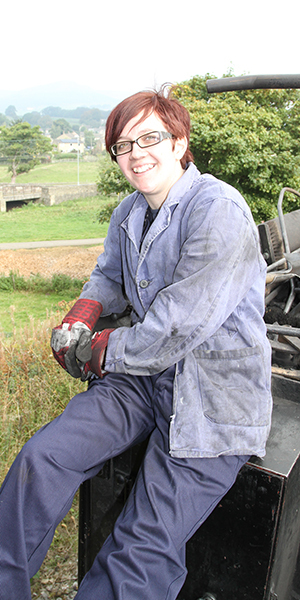 We have a dedicated website which provides information for our volunteers: www.ydr-volunteer.co.uk . After becoming a volunteer member we will grant you with access to this site and a huge range of documents and information which supports our volunteers. 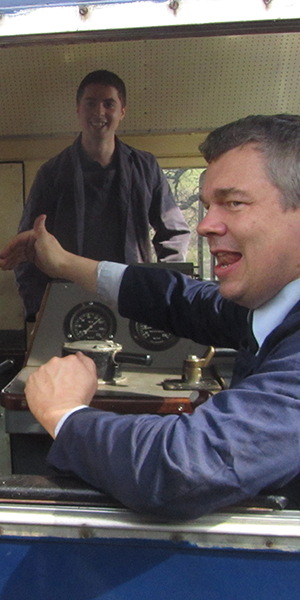 Receive training to operate the Railway. Free copies of YDR News – our house magazine giving you all the latest news. Two complimentary tickets per year (not valid on special event days). Half fare travel thereafter. All members over 18 are entitled to attend our Annual General Meeting with full voting rights enabling them to influence the way the Railway is run. 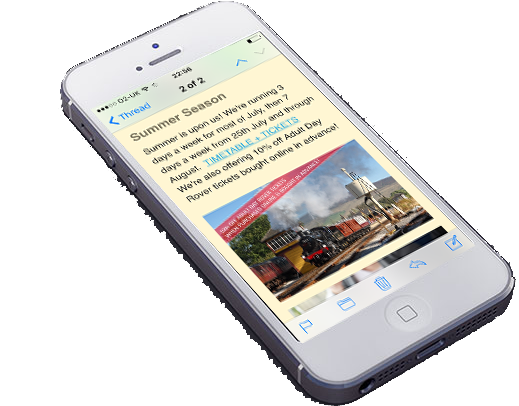 Full access to the volunteers’ website and the newsletters, minutes, rosters, magazines, manuals, and other notices contained within. 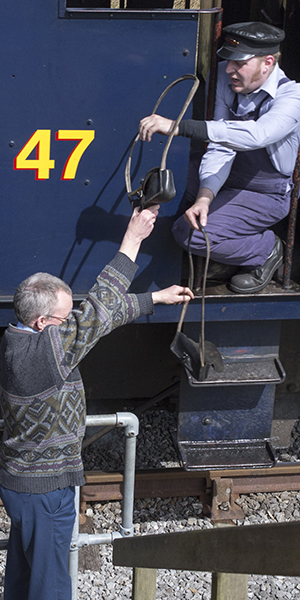 Many duties such as booking clerk, platform staff, T.T.I, guard, signalman and footplate crew work to a roster where you will be required to give your availability in advance. Other areas, like carriage and wagon or locomotives are co-ordinated by their departmental managers. Booking Clerks Booking Clerks represent one of the first steps in the operating department. If you are good and comfortable dealing with the public and don’t mind handling money, then you may like to consider joining our Railway as a Booking Clerk. The Booking Clerk is normally the passengers’ first point of contact with the Railway and it is essential that the person behind the ticket window and on the platform gives passengers a good impression. The Railway has two operational booking offices at Embsay Station and Bolton Abbey Station. Booking Clerks work to a roster. Platform Staff Anyone who is interested in joining the Platform Staff should enjoy meeting and dealing with the general public. Platform Staff must be smart in appearance, be polite, create a lasting impression on our visitors and they must be friendly and approachable. The Platform Staff are responsible for the general safety and well being of the passengers, both arriving at the station and also boarding and alighting from the trains. 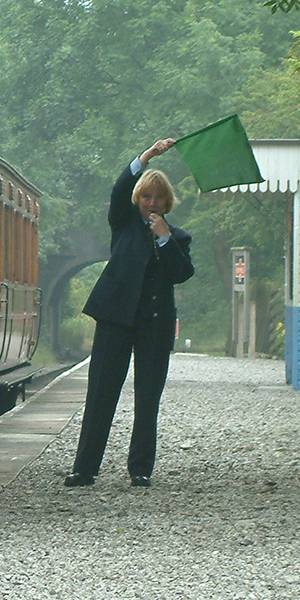 Platform Staff are also required to know the workings of the booking office because during midweek the platform and booking office are covered by the same member of staff. Platform Staff work to a roster. Carriage and Wagon Department Our small, but thriving Carriage and Wagon Department always extends a warm welcome to new volunteers. It is responsible for the upkeep, maintenance and restoration of our numerous coaches and wagons, jobs requiring a variety of skills. The work is varied and interesting ranging from engineering on braking systems to paintwork, interiors, carriage cleaning and bodywork repairs and many more. If you are looking for challenging and rewarding ‘hands-on’ work, your contribution in the department will be most welcome. Permanent Way Department The main task of this department is to maintain and renew the track and line-side drainage throughout the Railway. 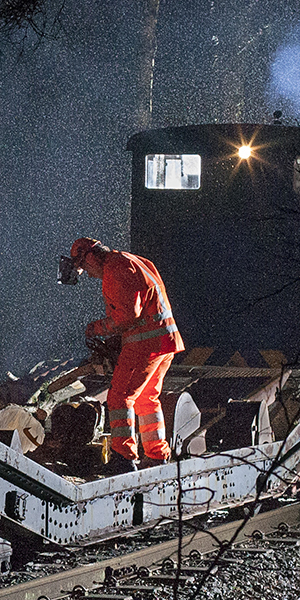 This is vital work if the railway is to operate safely. The role of the ‘platelayer’ is ideal for anyone who enjoys working outdoors. A reasonable level of physical fitness is required but the continued investment of ‘state of the art’ maintenance equipment has made the job considerably less strenuous. The Permanent Way Dept. is required to operate as a team and, to many volunteers, the team spirit is one of the most important aspects of their involvement. New members are always welcome and full training in all tasks is provided, starting with basic track safety and progressing to operator of one of the growing list of machines currently in use. This department makes a significant contribution to our Railway. Sales Department The Railway has gift shops at Embsay and Bolton Abbey stations, offering a selection of gifts and merchandise, mainly railway related. These shops are popular with our visitors and provide an important service for them. Working in these shops requires the ability to deal with the general public and new volunteers are always welcome. 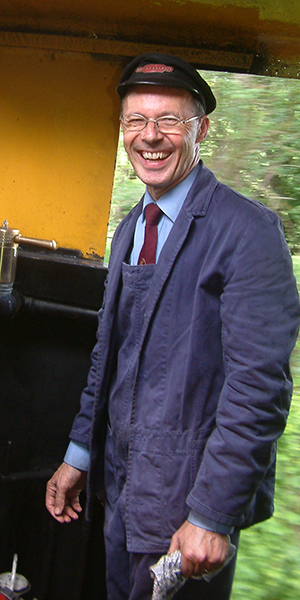 This job can be less physically strenuous than other Railway duties, and may appeal to those who are seeking a less physically active role. 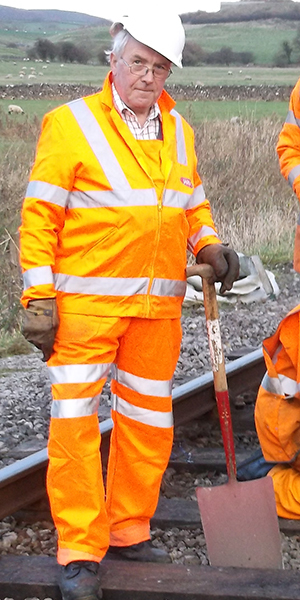 Guards The grade of Guard is attained by members who have spent a good period of time working upon the Railway to get to know its operating procedures and other knowledge. Guards are responsible for the safety of the train and its passengers. Their tasks include preparation of the stock before the day’s operations, dealing with passengers, and the safe working of the train throughout the day. Guards also have to be smart in their appearance as well as being friendly and approachable when dealing with passenger enquiries. Travelling Ticket Inspectors (TTIs) TTIs are responsible for checking tickets on trains and for collecting supplementary fares and fares from passengers boarding the train late. They also assist the Guard in the preparation and disposal of rolling stock before and after an operational day. As a TTI, you should have good inter-personal skills for this important ‘front-line’ job as you will be involved mostly in ‘meeting and greeting’ our travelling visitors. 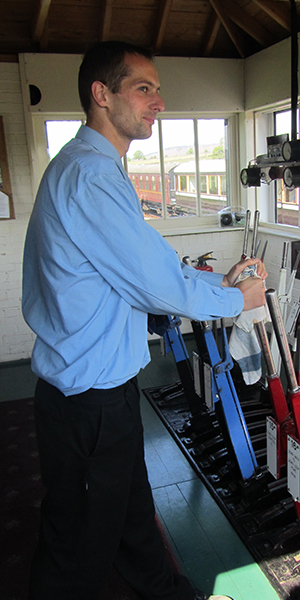 Signalman Our Railway signalling system is essential for its safe and efficient operation and if you want to be a signalman you will need to have a thorough knowledge of the signalling systems and of our Railway operations. 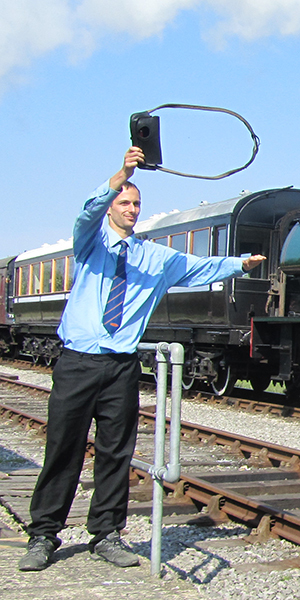 The grade of signalman is attained by members who have spent some time working upon the Railway, getting to know the operating procedures and gaining other knowledge. Currently our Railway has two operational signal boxes, one at Embsay Station and one at the Stoneacre passing loop. A third at Bolton Abbey station is being installed and will, hopefully, be brought into use soon. 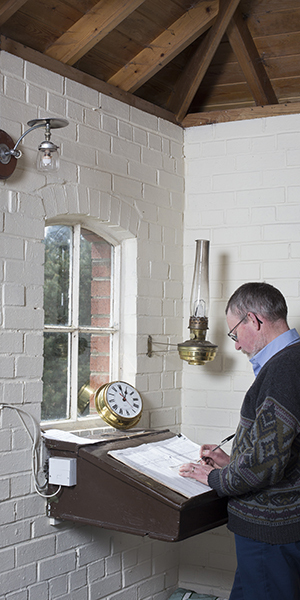 Signal and Telegraph Department The Signal and Telegraph (or S&T) department installs and maintains all signalling and telecommunications equipment on our Railway. This small but important department is looking for new members, both skilled and unskilled, and offers interesting and challenging work both indoors and outdoors. Locomotive Department The locomotive department offers many opportunities for aspiring volunteers. Whilst the finished product is very obvious, much of the behind the scenes work goes un-noticed, but it is vitally important. The work is challenging and almost invariably dirty! Anyone who is experienced with engineering and/or machining will be most welcome but these skills are not essential. There is a wide range of tasks for both skilled and unskilled new members as help is required in all corners of the department. 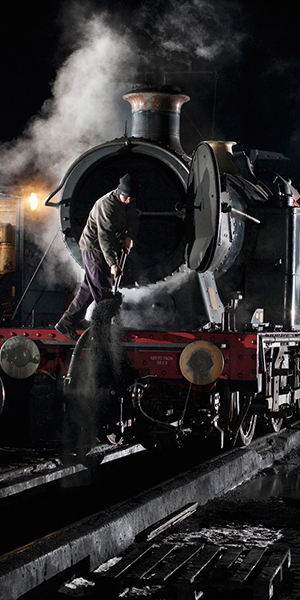 You must possess the necessary personal equipment to work in the locomotive department. Steel capped boots and overalls are mandatory. Footplate Crew Footplate crews are usually trained from members who have spent a considerable time working on our Railway beforehand. It is not necessary for all footplate crews to work solely with the Locomotive department, but some time spent there would help. Diesel Department The Railway has diesel locomotives to assist with shunting and other duties. There is a small band of volunteers who maintain and restore them. 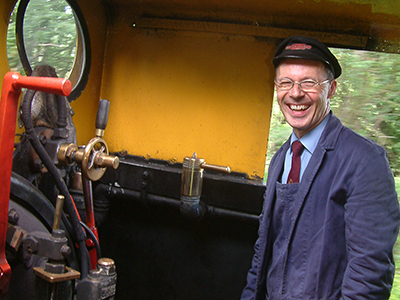 The same criteria apply as for the Locomotive department and this department offers a warm welcome to new volunteers. Catering Department Volunteers are always required to assist in the catering side of the Railway. We have buffet cars on all steam service trains as well as refreshment rooms at both stations. There is need for staff to operate these important facilities and if you feel you are able to help, your contribution will be very much appreciated. Buildings Department On our Railway, the buildings, associated structures such as fencing and some minor projects are always in need of maintenance and construction. The station buildings and their local area are one of the first things seen by visitors to our Railway and a good first impression is always important. This department is always looking for volunteers to help with this essential work. 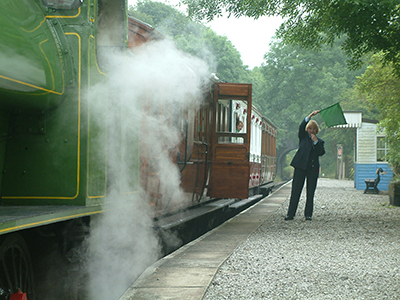 Fund Raising The Railway is always raising funds for different projects on the line. 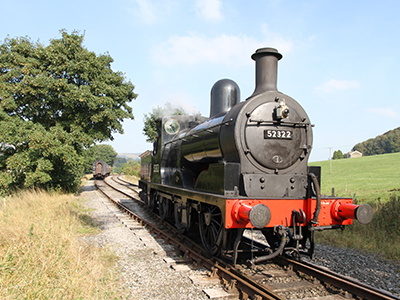 At present we are raising funds for the construction of the new engine shed / museum complex. For example we urgently need volunteers to open the ‘Embsay Fund Raisers’ bric-a-brac shop at Embsay Station. In addition volunteers are required to sell ‘saver tickets’ on trains. 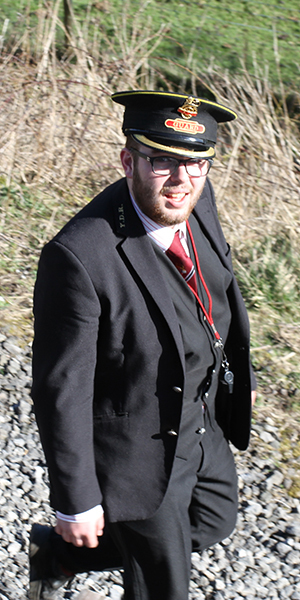 We can arrange an induction on the railway in the roles in which you are interested. We also occasionally run ‘welcome’ weekends where you can be introduced to the different departments in order to gain a deeper insight into which area would be most suited to your skills and abilities. You can contact our Volunteer Liaison Officer using the form below.